We just passed a major holiday. No. Not Hanukkah. No, Kwanza is after Christmas. Look, I’ll save you some time, I’m talking about the Winter Solstice, the longest night of the year, the official start of winter. Normally the change of seasons causes all manner of problems. Some have to deal with colds, others with allergies but almost everyone has to deal with fairies. Now I know some of you may be wondering just what Tinkerbell has to do with seasonal problems. Well, fairies are commonly misunderstood. 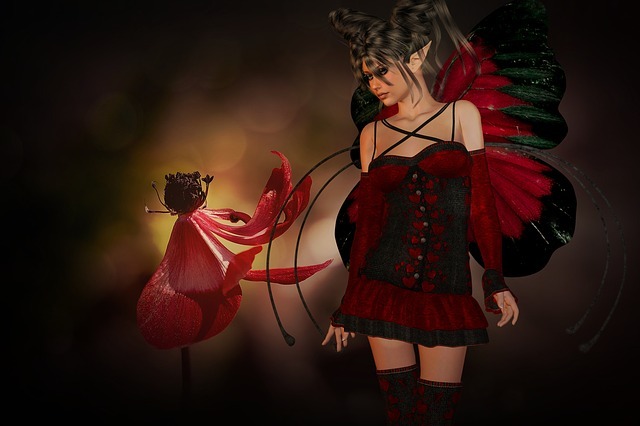 In much the same way “humans” applies to many different races and types of human, “fairies” applies to a variety of fae. There are dozens of types of fairies out there, but I’m going to focus on one group of them, The Unseelie Court. Also known as the Winter Court of Fairies, these fairies are considered by many to be the “evil fairies.” While that moniker really doesn’t apply to the whole of the Unseelie, they are a generally malevolent bunch who despise humans. The fae are organized into four courts, each corresponding to and having power over the seasons. They were some of the first caretakers of the planet and the Unseelie see humanity as a blight on the world they care for. Winter is their punishment of sorts. A way to weed out nature’s garden of the human threat. Humans have generally overcome the harshness of winter, but the Unseelie are still there, causing car accidents and making you slip on your driveway. They freeze the homeless to death and keep the snow from being too much to earn a snow day for kids. Fairies and cats do not get along. Cats don’t eat fairies, but they will give them a considerably bad day. Do not allow your dogs to deal with the fae, they tend to get stuck in the back teeth where they rot and give your dog very foul-smelling breath. Raise the temperature in your house. The Unseelie are winter fairies. As such, too much heat will drive them off most of the time. Hot showers and boiling water, even using humidifiers will help make your home uncomfortable for them. Leave a small piece of bread and cheese out in the kitchen. This type of offering will generally placate the Unseelie and get them to leave you alone for a bit. Pour a small saucer of beer and place it by your draftiest window. This will normally be where the fairy will make its entry into your house. If it is distracted by beer, it will drink itself into a stupor and then you can toss it out in the morning. This is a drastic measure, but one that you may want to consider if you’re being plagued by these creatures. Place glitter along all doorways and windowsills. The fae will have no choice but to move through it, making them easier to track. Once you find where they are nesting, place a space heater in the area. When they all pass out, put them in a pillowcase and then take them outside. What you do with them after that is up to you. I prefer to beat them against a tree until they agree to leave. Cast Iron. This is the nuclear option for dealing with fairies. They have a bad reaction to iron (not steel or other ferrous alloys) and beating them with an old-fashioned cast iron skillet will show those little bastards that you mean business. Keep in mind that Unseelie normally travel in groups and could overwhelm you if you attempt an all-out assault. Should it be necessary to make a last stand, I recommend retreating to the shower and turning on the hot water. Stay safe and stay vigilant. You only have to deal with them until March 21st.